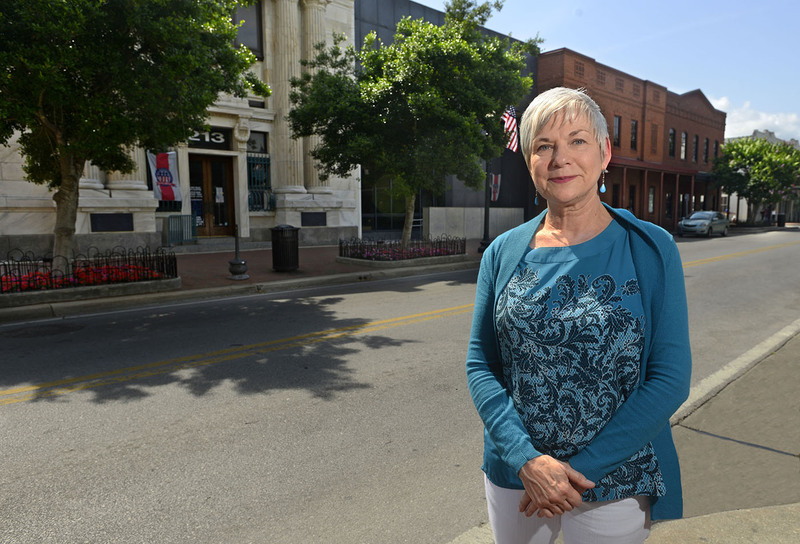 The Palafox Historic District, spanning from Chase to Zaragoza streets and Spring to Tarragona streets in downtown Pensacola, is now listed on the National Register of Historic Places thanks to the organizing efforts of University of West Florida public history alumna Cynthia Catellier. The National Register of Historic Places, administered through the National Park Service, is the official list of historic places in the United States deemed worthy of preservation. Authorized by the National Historic Preservation Act of 1966, it is part of a national program to coordinate and support public and private efforts to identify, evaluate and protect America’s historic and archaeological resources. Catellier began the nomination process for the district in 2011 as a student in the UWF public history master’s program. The program focuses on the “applied side of history,” according to Dr. Patrick Moore, associate professor and program director. Students develop a skillset tailored for professional settings outside of traditional academia, such as museums, cultural resource management, historic preservation, film and technology. “It’s an exceptional accomplishment for somebody to take the time and cover such a broad scope of criteria – identifying places, demonstrating their value and providing evidence. The nomination process is unbelievably complex,” said Moore. Catellier connected with Donald Kelly, the senior urban planner for the Pensacola Community Redevelopment Agency at the time, to begin her work in 2011. “I started researching local history, buildings, infrastructure and development in order to develop a submission that met the Register’s standards,” she explained. Additionally, Catellier spent weeks walking the Palafox properties, surveying the buildings and gathering information. After receiving her degree in 2012, she continued her pursuit, collaborating with Robert Overton Jr., executive director of the UWF Historic Trust, and Desiree Estabrook, historic preservationist with the Florida Division of Historical Resources. The resulting nomination, a document totaling more than 100 pages, was finally approved in April 2016 and appeared on the register in May. The Palafox Historic District includes 129 properties, and its addition brings the total of National Register properties in downtown Pensacola to nearly 600. Other areas include the Pensacola Historic District, more commonly known as Seville, and the North Hill Historic District. National Register inclusion offers a variety of benefits, including tax credits, real estate and tourism support, and grant opportunities. For more information about the National Register of Historic Places, visit nps.gov/nr. 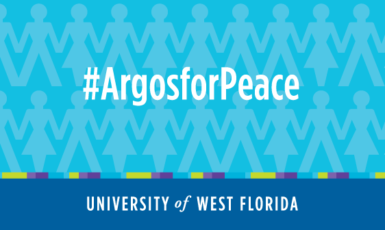 For information about the UWF Department of History, visit uwf.edu/history.